Our range is available in exquisite designs, unique patterns and impeccable finishes. 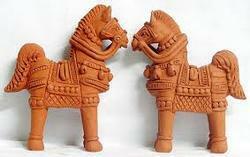 The famous traditional statues of elephants, serpents, birds and horses from bester are incomparable in simplicity. We manufacture these toys using quality measures and with durable features. These toys are exported at reasonable price. Our Minimum Order of Quantity is 1000pieces...!!! Features: Sturdy Built and Completely Hand Worked. Enlisted among one of the credible business names, we are readily indulged in offering an inclusive gamut ofTerracotta Statue. Totally customised according to requirement. 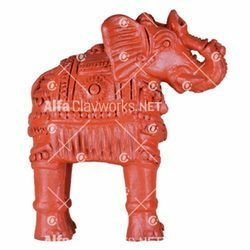 Leveraging over the skills of our qualified team of professionals, we are instrumental in offering wide range of Ganesha Terracotta Statue. Ganesh Chaturthi buy an eco-friendly clay ganesha idol.